One lawyer is asking the judge to order General Motors to issue a Park It Now order which would urge owners to not drive their recalled vehicle until it has been repaired. The request also asks that GM to pay for rental cars or provide loaner vehicles for all affected GM vehicle drivers. Following a massive recall in February 2014, General Motors (GM) has been the focus of national media as investigations into the faulty ignition switch and delayed recall announcement continue. Millions of drivers across North America have been affected and some are even afraid to drive their own vehicles until the defect is fixed. A criminal investigation by the U.S. attorney's office into how the motor company handled the situation was launched on March 12, 2014. If you or a loved one has been injured in an auto accident or if you have lost a loved one in a car accident related to an affected vehicle, you may be entitled to compensation for medical expenses, property damage, lost wages and more. Fill out the Free Case Review form to your right for a no-cost, no-obligation review of your GM recall claim its completely confidential. Initially, more than 619,122 makes and models were withdrawn from the market, an additional 748,024 vehicles were recalled three days later. According to General Motors, under certain conditions the ignition switch could move out of the run position, resulting in loss of electrical power and turning off the engine. If the ignition switch is not in the run position, the airbags may not deploy. The vehicles affected were sold in North America and Canada. GM mailed out customer communications to affected vehicle owners and said that they will make repairs free of charge. On March 17, 2014, General Motors announced the recall of an additional 1.5 million makes and models. Although the defects in these vehicles are different from that of an ignition switch, they are still dangerous. The SUV crossover models need to have the wiring for their seat-mounted side airbags rewired while XTS sedans could catch fire when the brakes overheat. Approximately 303,000 vans are being recalled because the material on the instrument panel may not adequately protect passengers who do not wear their seatbelts during a crash. According to General Motors, there have been no reported injuries. However, data from the National Highway Traffic Safety Administration notes that there have been at least four reports in which drivers or passengers were injured when the airbags failed. If you own a GM vehicle which was part of one of the recent defective ignition switch recalls, your car may be worth less money today than it was in January. Even if your vehicle has never been in an accident, American consumers lack trust in recalled GM vehicles means that potential buyers may be less willing to purchase your car now than before the recalls were made public. After General Motors announced the recall of nearly 2.6 million vehicles in February, consumers around the country began to believe (with good reason) that the recalled makes and models were dangerous.As a result of these reports, many GM owners have found it difficult to sell their recalled vehicle for its former value, even if the ignition switch defect was repaired. Many GM vehicle owners have filed class action lawsuits around the country demanding to be compensated for the loss of value in their vehicles. The Phillips Law Group also believes that General Motors should compensate recalled vehicle owners whose cars are now worth less through no fault of their own. If you own one of the millions of GM vehicles involved in the faulty ignition switch recall, you may be able to recover the lost value of your car. 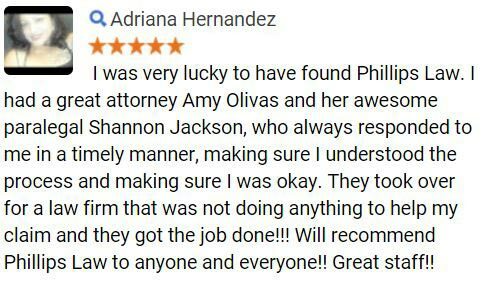 Call or text Phillips Law Group today at 1-800-706-3000 for a free consultation and review your rights as a GM vehicle owner. Visit our GM recall timeline for the latest news updates. On Feb. 10, 2014, General Motors announced that they would be recalling nearly 780,000 older-model compact cars in North America due to a faulty ignition switch that shut the engines off without warning. According to GM, approximately 22 crashes were linked to the problem which led to the death of six people. However, further investigations into the accidents revealed that the problems started nearly a decade prior to the announcement. 2001 General Motors discovered the ignition problem during testing of the Saturn Ion; an internal report noted that a design change was made to solve the problem. 2003 An internal inquiry noted that a service technician observed a car unexpectedly stall after the ignition had switched off while driving. 2004 GM noted that if a driver bumped the ignition switch in a 2005 Chevrolet Cobalt, it could turn off and shut the engine down. 2005 A GM engineer proposes redesigning the key head, but the proposal is ultimately rejected. In Maryland, the first death tied to a defective ignition switch is reported. The airbag failed to deploy in a 2005 Chevy Cobalt during a crash leading to the death of a woman. By December 2005, the company issued a service bulletin to dealers alerting them to the problem but does not issue a recall. 2007 In March, a safety regulator tells General Motors about the deadly crash but does not open a formal investigation. By April 2007, an investigator suggests that the deadly crash was linked to the ignition problem GM had notified dealers about, but regulators do not open an investigation. By the end of 2007, GM is now tracking the problem and discovers that four more crashes are linked to engine failure and failure of the airbag to deploy. 2010 Chevy discontinues production of the Cobalt model. 2013 GM determines that the faulty ignition switch was related to 31 car accidents resulting in a dozen deaths. 2014 In February, GM recalls 619,000 vehicles and then expands it to cover 1.36 million cars. Just weeks after the initial announcement, the government issues a 27-page order demanding that more than 100 questions regarding the ignition defect be answered. GM has until April 3, 2014, to respond. As investigations continue, including a federal investigation into the company's handling of the recall, the number of vehicles affected, accidents involved, and deaths caused to fluctuate. A consumer watchdog group, the Center for Auto Safety, believes that more than 300 deaths due to airbag non-deployment occurred between 2003 and 2007 and involved Saturn Ions and Chevrolet Cobalts. If you believe that you or a loved one has been injured in an auto accident caused by a defective ignition switch, contact a GM recall lawyer from Phillips Law Group at 1-800-706-3000. Our attorneys can confidentially review your claim and determine what your legal rights are. Although General Motors announced that they would be fixing the defect, they do state that there is a risk, under certain conditions, that the switch could move out of the run position while driving an affected vehicle. The risk increases when the key ring is carrying added weight such as additional keys or key chains. Additionally, the company is offering free loaner cars will offer a $500 allowance to owners who want to buy or lease a new GM vehicle. Loaner vehicles will be available until parts arrive and the cash offer will end on April 30. According to the New York Times, records indicate that since February 2003, there were more than 260 complaints regarding the vehicle defect. As General Motors continues to provide answers as to why the waited so long to announce a recall, those affected are seeking legal guidance. An attorney can help you investigate if your auto accident occurred due to the defective ignition switch and if your claim has the merits to file a lawsuit. Victims of an auto accident may be entitled to compensation for property damage, medical expenses, lost wages and pain and suffering. If you have lost a loved one due, you may be entitled to file a wrongful death claim and seek damages for your loss. At Phillips Law Group we understand how devastating a car accident can be, especially if it involves the loss of life. We believe that General Motors should be held accountable for their actions, especially when they knew about the defect nearly a decade ago. 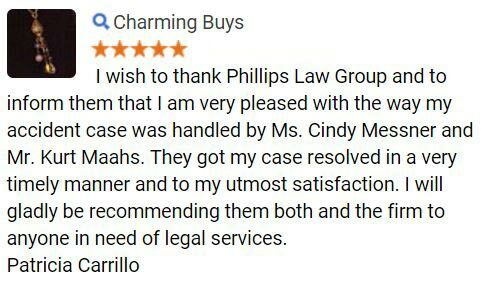 With decades of legal experience and the resources needed to build a strong case, Phillips Law Group will work hard to ensure that you receive the compensation you deserve. 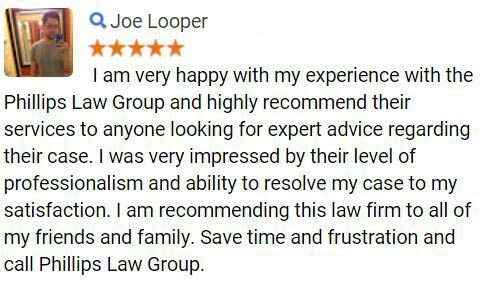 Call or text 1-800-706-3000 for a free initial case consultation, our offices are available 24 hours a day, 7 days a week. 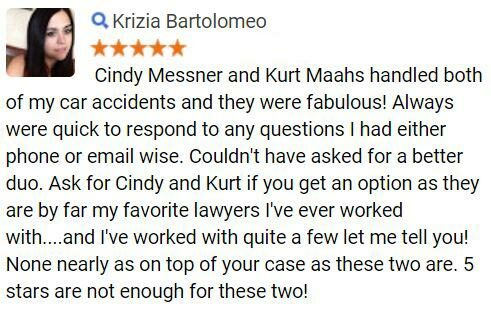 One of our intake staff members will connect you with one of our attorneys best suited in handling your claim after collecting some of your information. If you would prefer to start immediately, fill out the "Free Case Review" form at the top right-hand corner of this page - it's FREE to submit and completely confidential.